Over the past five years, there has been a rapid scale-up of services to Prevent Mother-To-Child Transmission (PMTCT) of HIV. This has reduced the annual number of new infections among children by 50 per cent worldwide since 2010. In the 21 priority countries that were the focus of the Global Plan towards the elimination of new HIV infections among children and keeping their mothers alive (Global Plan), AIDS-related mortality among children under 15 years of age dropped by 53 per cent between 2009 and 2015. In countries such as Botswana, Burundi, Namibia, South Africa and Swaziland, even greater reductions, above 65 per cent, were achieved. However, this welcome news has some challenges. For instance, in 2015, there were 1.8 million children under 15 years of age living with HIV worldwide. An additional 150, 000 children acquired HIV globally in 2015 (2,800 a week), and 110, 000 children died of AIDS-related causes (300 a day). In some high-burden countries, such as Angola, Chad and Nigeria, less than half the pregnant or breastfeeding women living with HIV are receiving antiretroviral medicines. Reports show that programmes to help women avoid HIV infection remain underdeveloped and fragile, leading to 900 000 new HIV infections among women over the age of 15 years in 2015. They joined the 17.8 million women already living with HIV, and if they decide to have children, they will need services to prevent transmission to their children and maintain their health. The World Health Organisation (WHO) now recommends treating everyone living with HIV, but it is also essential to maintain good adherence to antiretroviral medicines in order to ensure their efficacy. Good adherence suppresses viral load to undetectable levels, greatly reducing onward transmission to the baby while restoring the mother’s immune system for better health. Unfortunately, many pregnant women gradually stop taking the medicines after they are diagnosed to be HIV positive, increasing the risk of transmission during pregnancy and placing their health in jeopardy according to findings. In Nigeria, the goals of the national programme for PMTCT of HIV include elimination of new infections among children and ensuring safe motherhood by 2020. One of the targets’ of the programme is to ensure that 60 per cent of all HIV positive pregnant women and breastfeeding mothers receive ARVs by the end of 2018. However, only 53,677 (30.16 per cent) of the 177,993 HIV-infected pregnant women in Nigeria received antiretroviral drugs to reduce the risk of Mother – To -Child Transmission (MTCT) of HIV in 2015. A visit to the Heart to Heart Centre (H2H) of the Badagry General Hospital, Lagos State by The Journalists’ Alliance for the Prevention of Mother-to-Child Transmission of HIV in Nigeria (JAPiN) shows that fear is one of the major factors why pregnant women who are HIV positive abandon treatment. Similarly, Oge John (not real names), narrated how she lost her first baby due to fear of stigma and death. On her part, Mrs. Kadiri Oluseyi, Executive Director, Centre for Positive ‎Health Organisation, Lagos State under the platform of Abidjan – Lagos – Corridor canvassed for the elimination of stigma for People Living With HIV/AIDS in line with the global campaign for safer motherhood and HIV-free babies. According to her, support from the government through increased funding and access to anti-retroviral (ARV) drugs will help to ameliorate the challenges of PLWHA, especially pregnant mothers and help in the elimination of Mother-To- Child- Transmission (eMTCT) of HIV. Oluseyi spoke when members of JAPiN, Lagos state Chapter recently made the special investigative visit to the office of Abidjan-Lagos Corridor Organisation, in Badagry General Hospital, Lagos, recently. 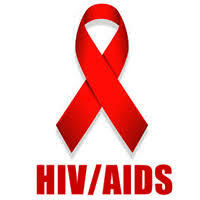 “Our focus is that information reaches every individual about HIV counselling, testing, and treatment. We also provide access, care and support especially to those that have tested positive. We believe that all those that have tested HIV positive must be treated with equal right. We stand for justice,” the Executive Director emphasised. Corroborating earlier views, Mrs. Salami Bukola, Psychosocial Counsellor Abidjan- Lagos Corridor, said:” We monitor and follow-up PLWA, counsel them to accept their result and register to receive ARV drugs. We don’t force the PLWA; rather we tell them the negative impact of not registering and adhering to the prescription of the ARV. It could be recalled that more than 150 people who attended the interfaith pre-conference, which held last year in Durban, heard urgent challenges to reduce stigma and discrimination; increase access to HIV services; and defend human rights as key elements of ending AIDS as a public health threat by 2030. Various presentations during the opening plenary enjoined faith representatives to unite and accelerate all HIV interventions so that more people are tested and treated, with greater respect and promotion of all human rights so as to reduce new infections. New infections, which for awhile had reduced, have started to rise alarmingly, according to a UNAIDS report presented by Cesar Antonio Nunex, director of UNAIDS Latin America and Caribbean. Rights language, he also acknowledged, sometimes generates resistance among religious communities. At the event, Faghmeda Miller, a health promoter/counsellor at the University of the Western Cape and the only Muslim woman openly living with HIV in South Africa particularly challenged participants to be the agents of change.